Take a journey though the fascinating history of China and Vietnam; a 12 day private guided tour taking in two of Asia’s most interesting countries. 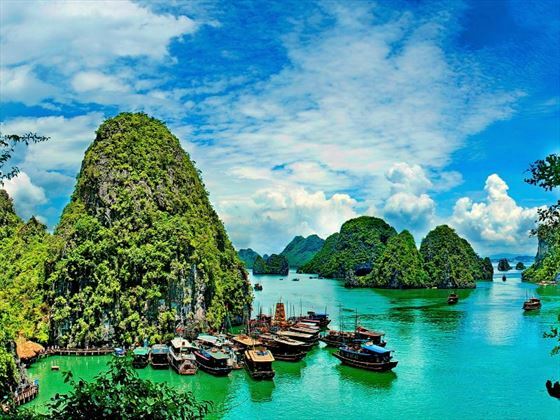 Take in some of the most incredible sights of the region including the world famous Great Wall of China and the legendary limestone karsts of Halong Bay. But there’s more to visiting Indo China than iconic attractions and this tour lets you get off the beaten path to explore sights not often seen by tourists. 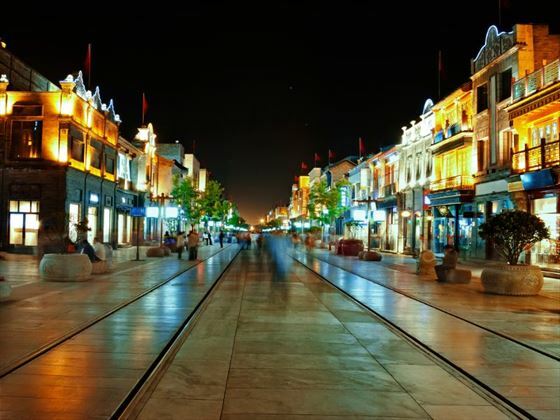 You’ll visit the pretty rice paddies of Longsheng, the awe-inspiring Detian waterfalls and the vibrant city of Hanoi. You’ll arrive into Beijing’s airport where you’ll be met by your personal tour guide and transferred to the hotel. If you arrive early enough you can visit the Temple of Heaven today – one of Beijing’s most famous ancient temples. You’ll then return to your hotel for the night. Today you’ll explore the Forbidden City, taking your time and really getting to know this famous landmark. 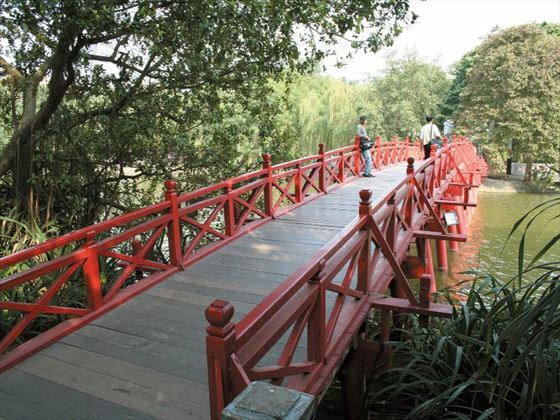 The rest of the day will be your chance to experience the romantic beauty of Beihai and Houhai Lakes. Finally you’ll walk to the Drum Tower where you can admire the Beijing scenery. 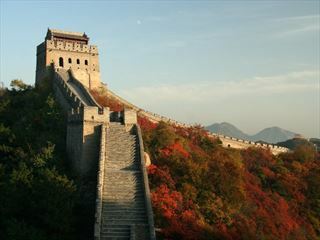 Today you’ll travel away from Beijing for the day to see the iconic Great Wall. 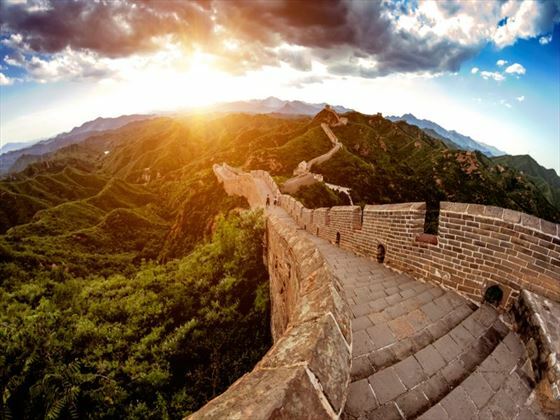 You’ll be visiting the Mutianyu section of the wall and you have the option to either walk along the wall or take a cable car. If there’s time you can enjoy a picnic on the wall, looking over the beautiful verdant scenery. 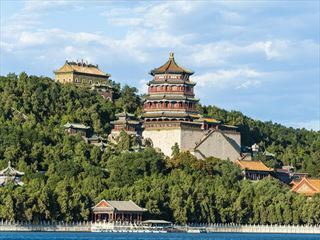 You’ll then head back to Beijing where you’ll visit the Summer Palace and then return the hotel to rest up for the journey tomorrow. Today you’ll catch a train from Beijing to Luoyang. 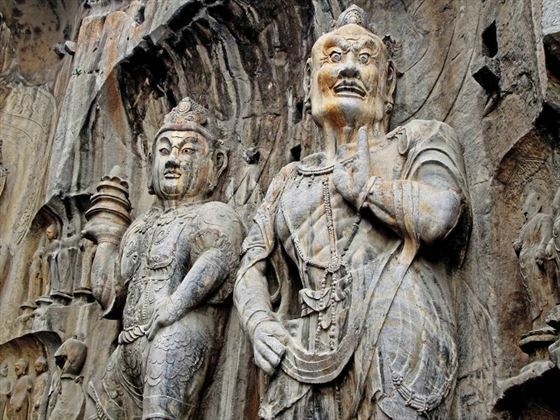 On arrival you’ll be met by your guide who will take you to the Longmen grottoes. These fascinating caves have been sculpted into temples and are recognised as a UNESCO World Heritage Site. 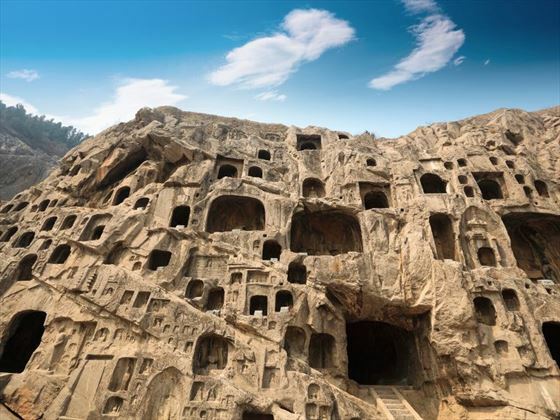 After exploring and learning about the history of the grottoes you’ll spend the night in Luoyang. Today you’ll transfer from Luoyang to Zhengzhou where you’ll catch a train, enjoying a packed lunch given to you by your guide before boarding. The express train takes the majority of the day. 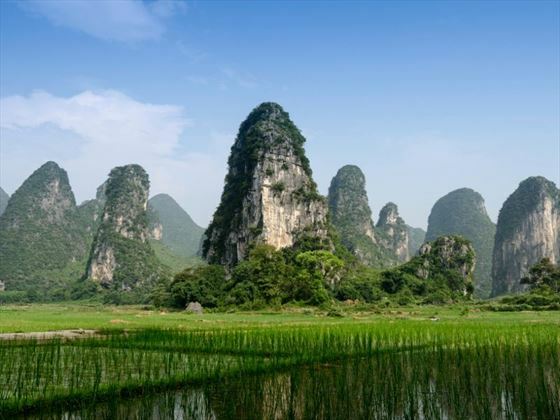 When you arrive in Guilin you’ll be met by your guide and driver who will transport you to the city where you’ll stay the night. 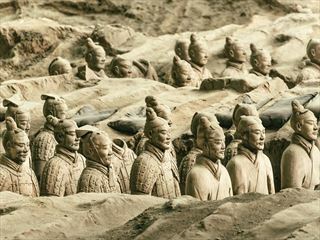 Today you’ll transfer to the Longsheng area where you’ll visit the village of Huangluo Yao, home to the Red Yao tribe. You’ll explore the village and learn about the different customs of the people and their daily lives. You’ll then visit the famous rice terraces of Longsheng enjoy the wonderful views of what look like enormous natural staircases. You’ll visit villages throughout the area before transferring back to Guilin to spend the night. On day seven you’ll travel from Guilin to Nanning where you’ll be picked up by your guide and driven to Mingshi, close to the border with Vietnam. This mountain village offers lovely scenic views and close proximity to the Detian waterfalls. Spend the first night relaxing at the village, then on day eight you’ll travel to the falls to enjoy a walk around this beautiful area. After returning to the hotel you’ll have the option to relax by the pool and enjoy dinner at a local restaurant or take a guided bike tour with a number of routes. Today your guide will transfer you to Youyiguan Scenic Area where you’ll take a very short shuttle bus ride to the Chinese border at Lang Son. At the border you’ll be met by your guide who will transfer you to the scenic Halong Bay. Once you’ve arrived you’ll check into your hotel and enjoy the evening at leisure. Today you’ll leave your hotel in the morning and head to the bay. Here you’ll board a boat and have lunch as it cruises through the harbour. Spend the day relaxing or enjoying some activities on the boat, all the while taking in the wonderful scenery of the bay. Later you’ll have dinner and spend the night on board. Wake up in the middle of the day and enjoy breakfast on the boat as it slowly cruises back to land. Once you’re back on the shore you’ll be transferred to the city of Hanoi. You’ll check in to your hotel and have the rest of the day at leisure to explore this exciting city. In the morning take a half day tour of Hanoi exploring the Old Quarter and a local market as well as getting to view the local beauty spot of Hoan Kiem Lake. After a visit to the Temple of Literature you’ll transfer to Noi Bai International Airport where you’ll catch your onward or return flight.